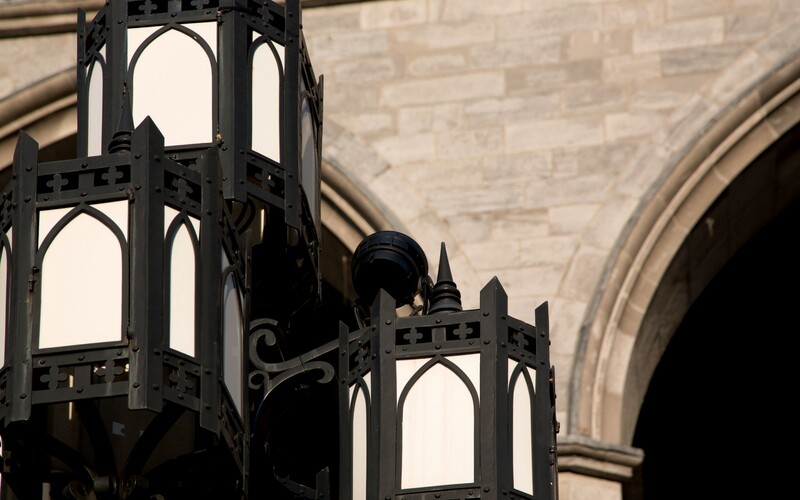 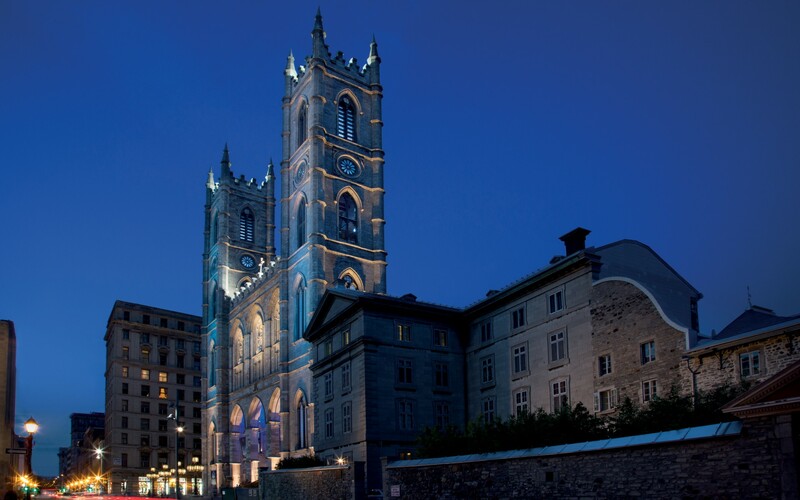 Éclairage Public used Lumenpulse LED fixtures to redesign the exterior lighting scheme at Montreal's Notre-Dame Basilica, accentuating the landmark's architectural features and reducing its energy consumption and maintenance costs. 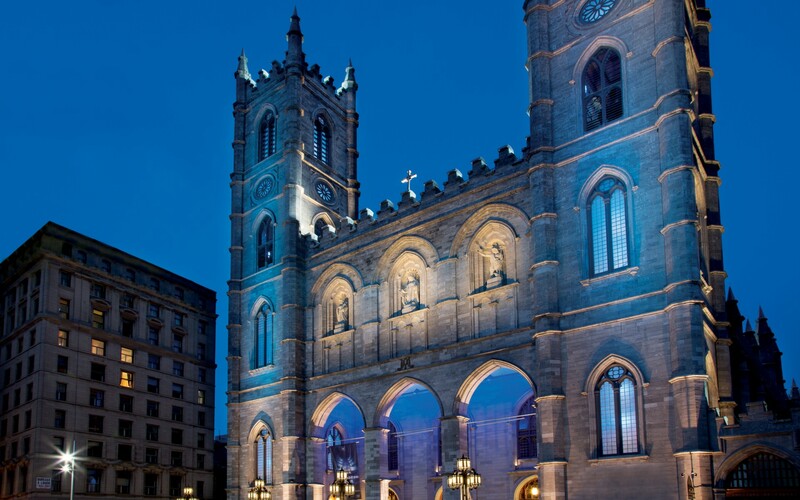 Designated a national historic site, Montreal's Notre-Dame Basilica has been a local landmark for nearly 200 years. 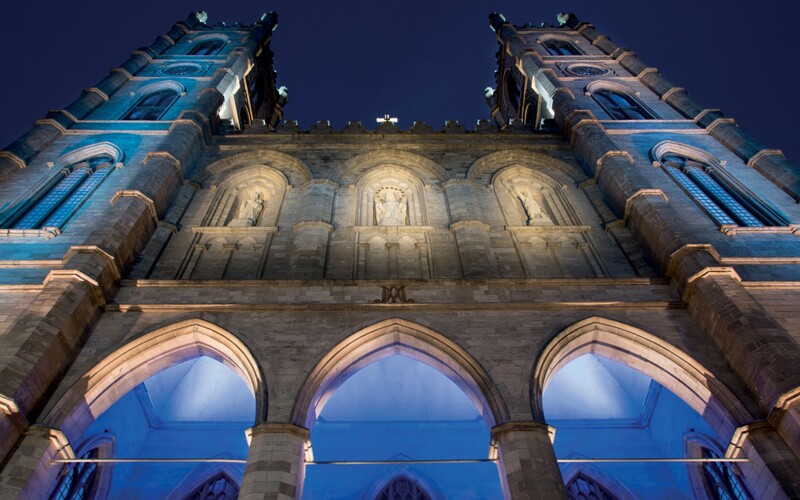 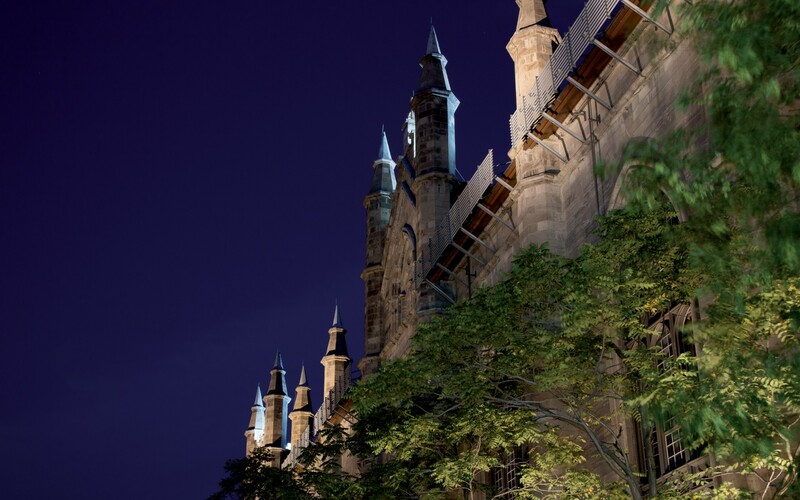 Once a cornerstone of the New France settlement in Canada, the Basilica - a masterpiece of Gothic Revival architecture - is now playing a central role in the renaissance of the Old Montreal district, thanks in part to a new lighting design by Éclairage Public. 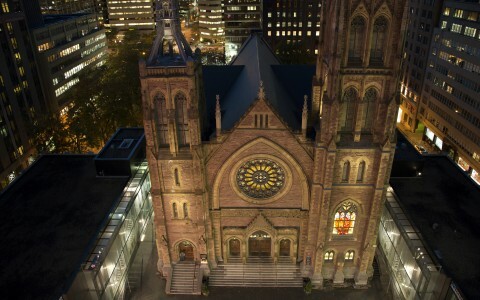 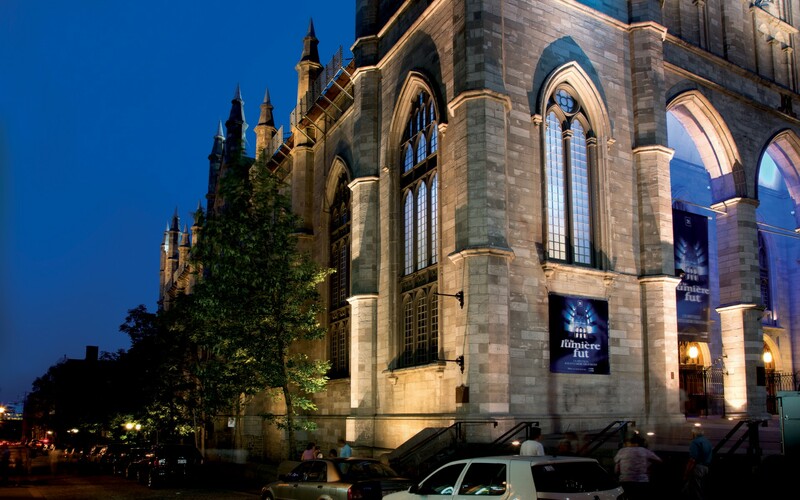 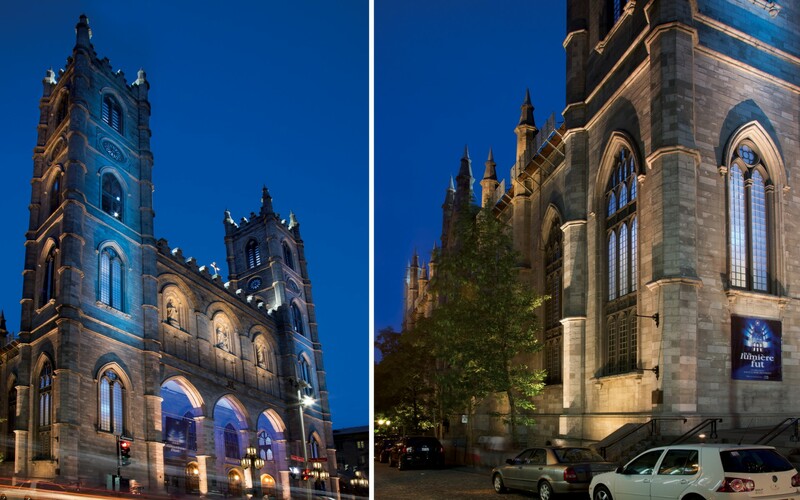 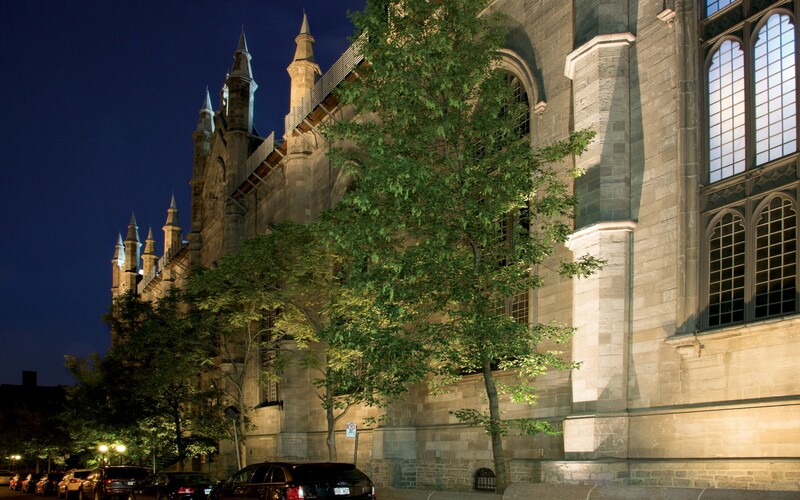 Hired as part of Montreal's Plan Lumière, Éclairage Public used Lumenpulse LED fixtures to redesign the church's exterior lighting scheme, enhancing the structure's nighttime beauty and halving the Basilica's total energy consumption from 22,000W to 11,000W. 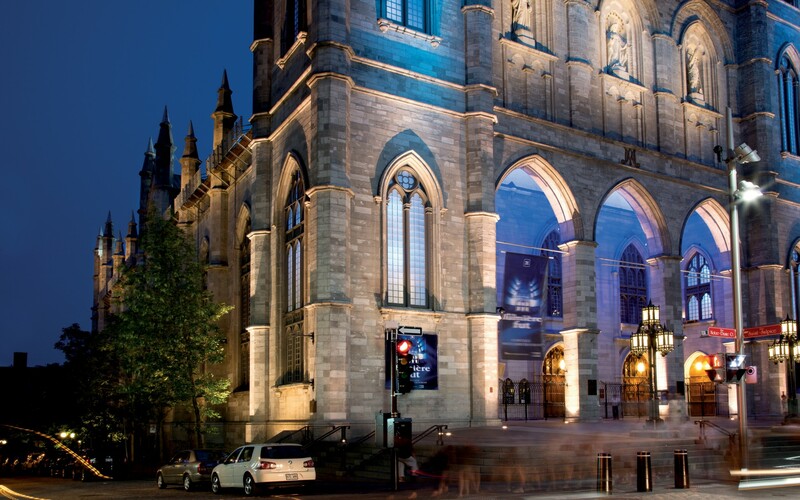 This has reduced the total cost of ownership, slashing annual maintenance and relamping costs, with Lumenpulse's LED luminaires providing ten times the life expectancy (120,000 hours vs. 12,000 hours). 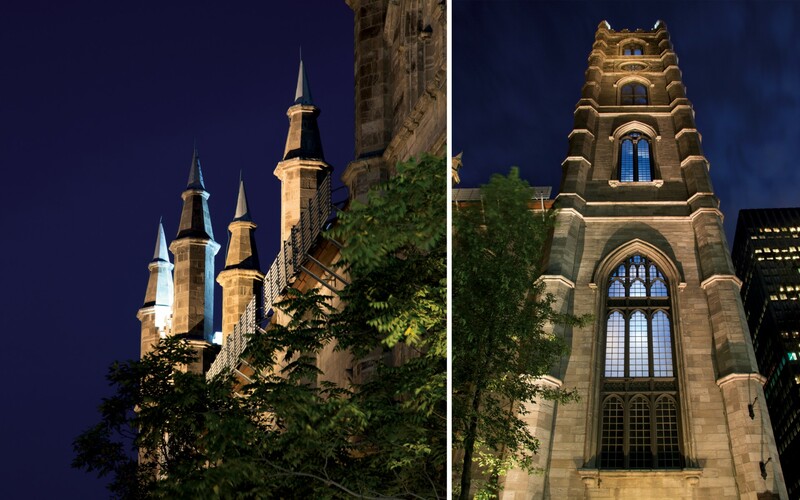 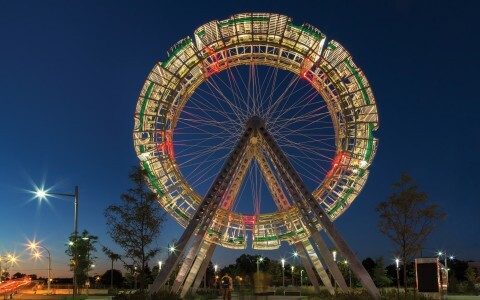 "With LED, you can adapt the light sources to just about any situation," says Éclairage Public Principal Gilles Arpin, explaining how this flexibility has led to a new way of thinking about lighting design, one that is not centred on approximating daylight with floodlights. 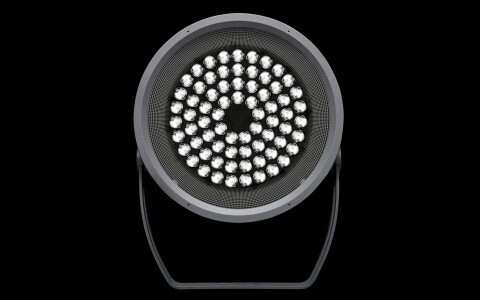 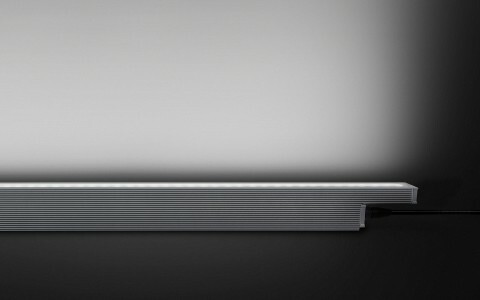 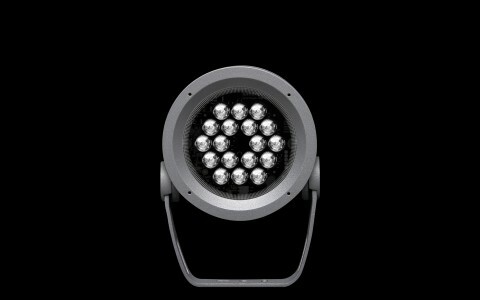 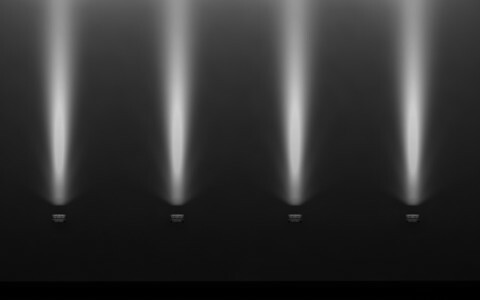 "For a long time, we tried to recreate daylight in architectural lighting," Arpin says. 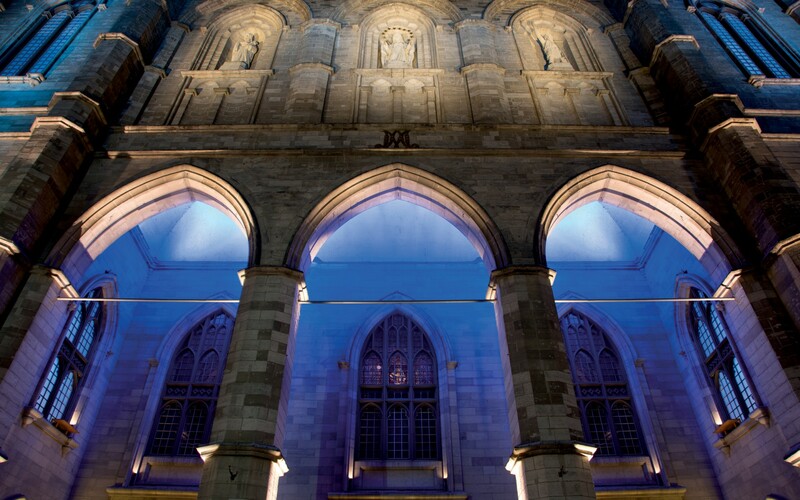 "We'd place large projectors at a distance and floodlight the façade in a way that would flatten it." 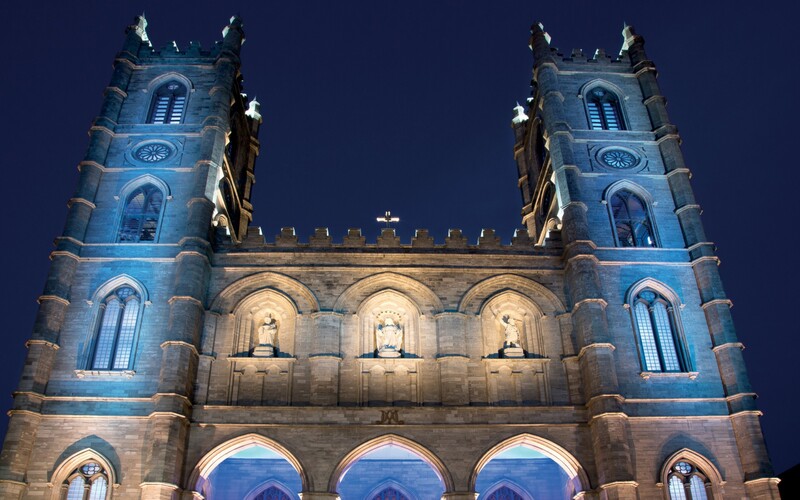 The new lighting design at the Notre-Dame Basilica strives for the opposite effect, with 150 LED fixtures grazing and highlighting specific facades and structural elements. 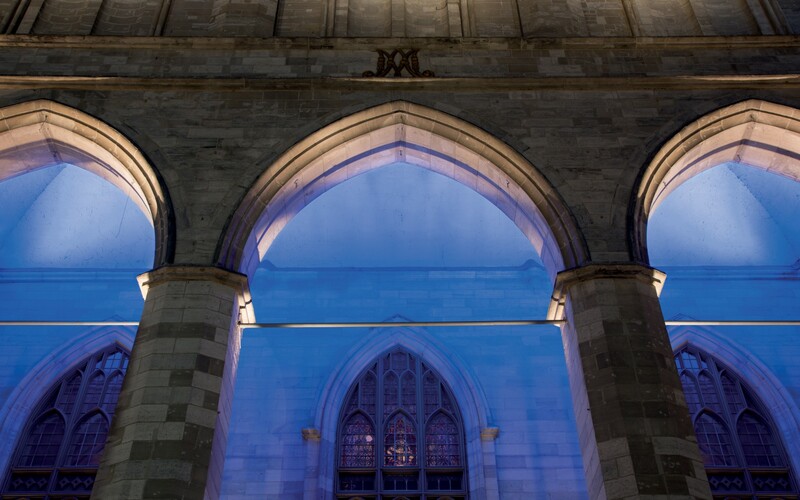 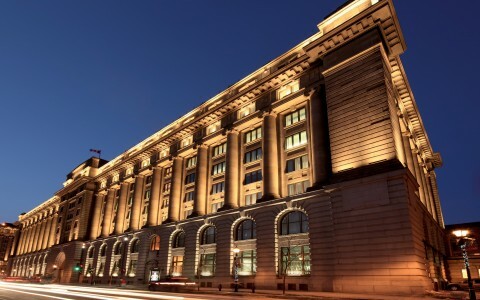 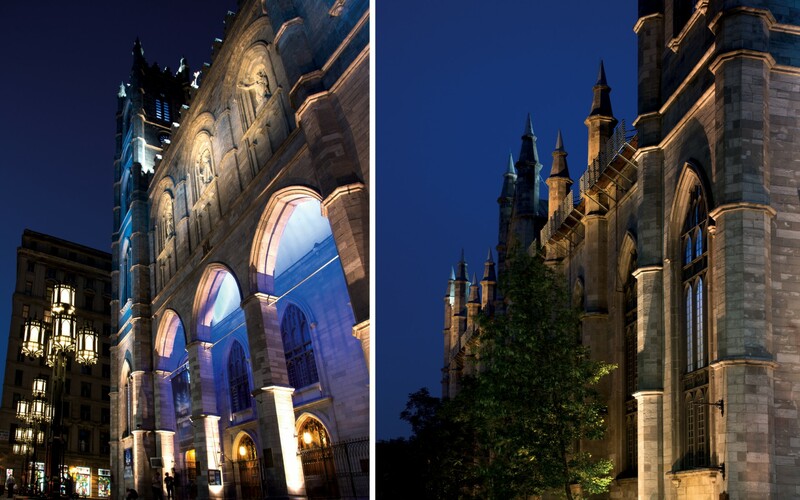 Arpin used blue Lumenfacade fixtures to illuminate the arched entrances and backlight the tower windows. 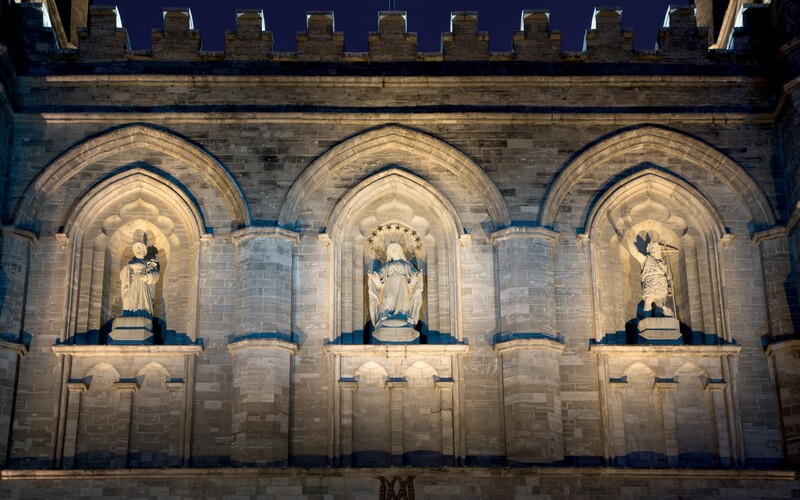 Above the entrance, the three statues emerge from the dark, with each sculpture spotlit by two 25W Lumenbeam Mediums using a narrow beam of warm, 3000k light. 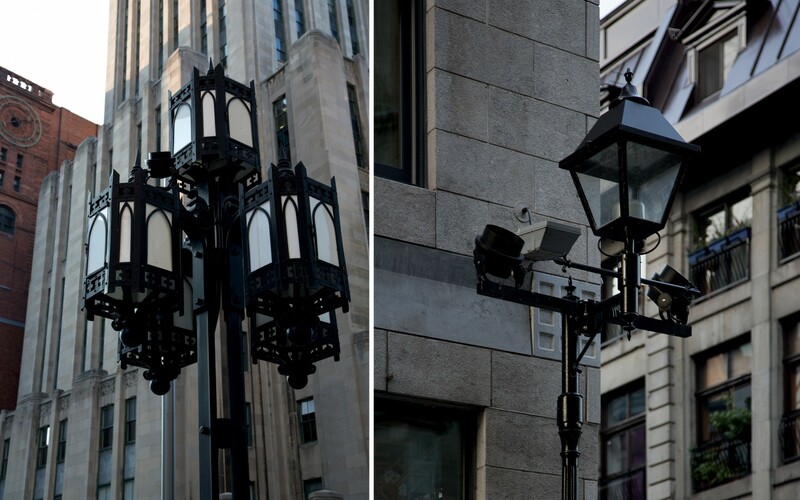 In order to be as inconspicuous as possible, the projectors were finished in black and integrated into the heritage lampposts at street level. 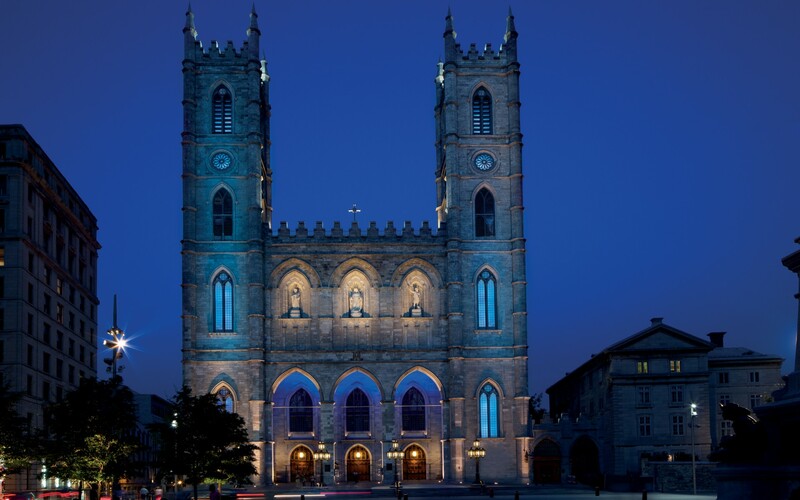 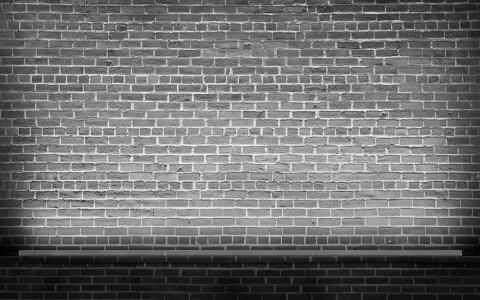 A variety of cool 6500K Lumenbeam fixtures were then used to backlight features on the roof and towers, including the cross, pinnacles and parapet - as if picked out by the light of the moon. 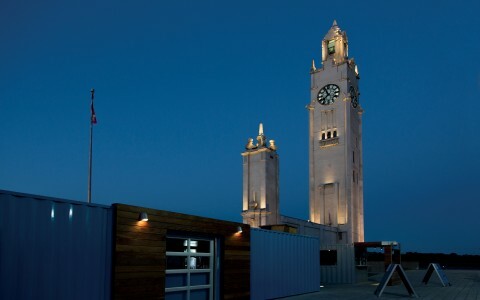 The resulting mix of color temperatures and LED lighting techniques creates a dramatic silhouette of the towers and a contrast between light and shadow, which better defines the building's idiosyncrasies. 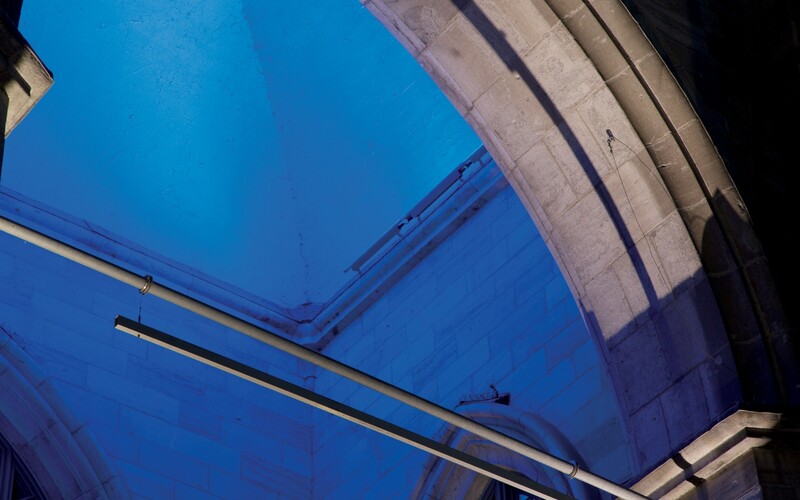 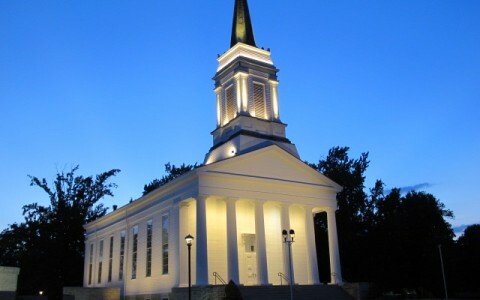 "Sometimes, the shadows help us understand a building," Arpin says, adding that while the lighting design's basic concept was to connect the exterior to the interior's blue vaulted ceiling, it was also about being as subtle as possible to restore the building's place in the community. 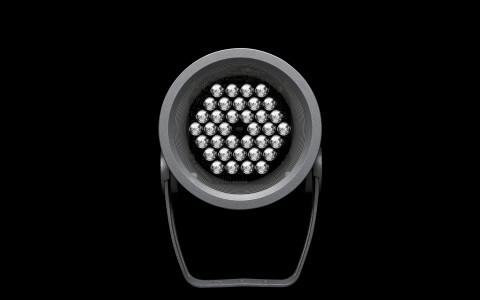 "Good lighting should be discreet," he says. 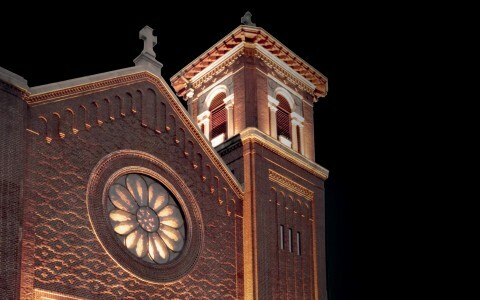 "The art is not the lighting; it's what we light."